Offering on-the-go slurry analysis, Joskin uses near infrared technology on its tankers. 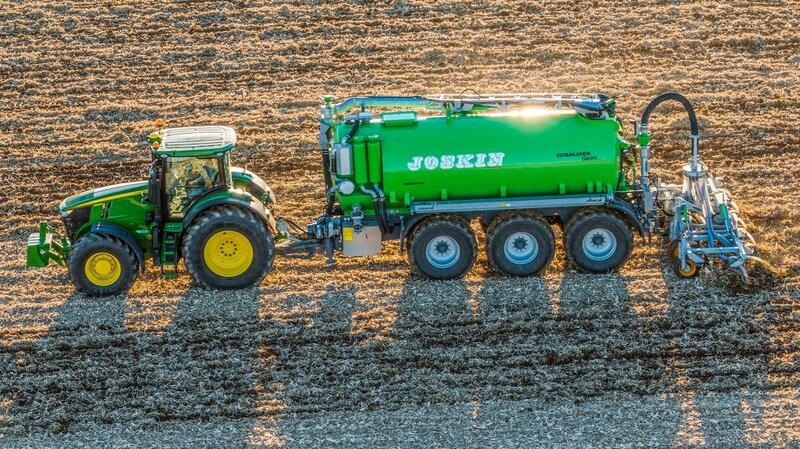 With nutrient management a priority, Joskin, in collaboration with John Deere, is aiming to apply only the right amount of NPK. 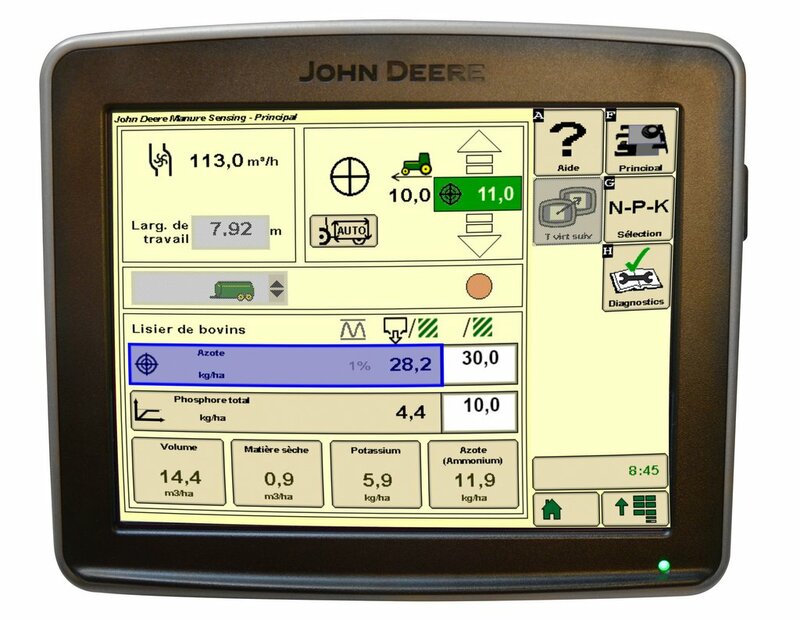 Desired NPK levels are set through JD's GreenStar terminal. Using near infrared technology, in the form of John Deere’s HarvestLab sensor, NPK and dry matter levels are analysed as slurry passes from tanker to applicator. This information is combined in the tanker’s ECU with data from the applicator’s flow meter, and sent via IsoBus to Deere’s in-cab GreenStar terminal. Allowing NPK application rates to remain within set parameters, forward speed and slurry flow rate are adjusted automatically, controlled through the GreenStar terminal. Mounted on-top of the tanker, the yellow HarvestLab sensor measures slurry NPK and dry matter levels. GreenStar allows application rates to be mapped, so mineral fertilisers or conditioners, such as potash and lime, can be applied more accurately, where required. 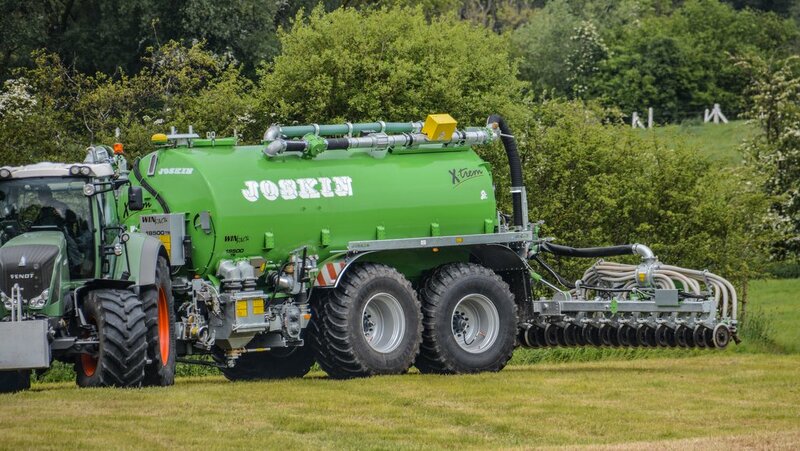 Available now, the system can be fitted to any Joskin tanker. Requirements include flow meter, full IsoBus system and HarvestLab sensor preparation (sensor available through Joskin or local JD dealer). While other IsoBus systems can be used, control via Deere’s GreenStar 3 2630 terminal is still required.